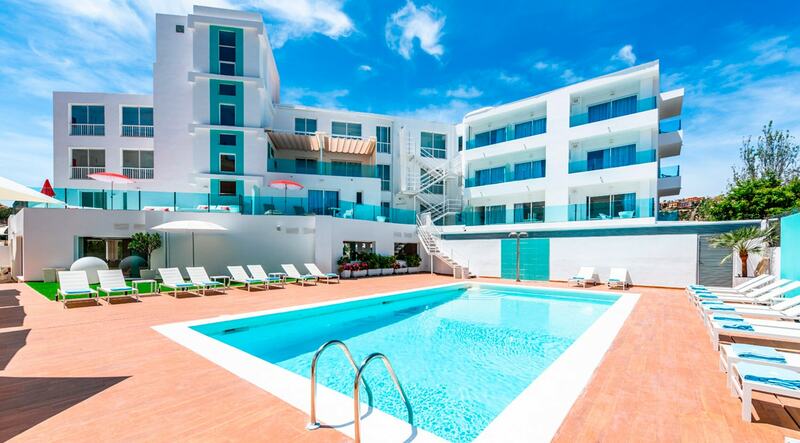 Plaza Santa Ponsa Boutique Hotel is the best option you can choose for your cycling holidays in Majorca. Enjoy a combination of adventure and a tour along the best routes and the most spectacular landscapes of the island. It’s an unforgettable experience that will be enhanced by your stay in one of the best-equipped hotels in Mallorca, Spain, on the beach. Discover our island on two wheels and stay in our cycle-friendly hotel in Majorca, where you can wash your bike, make any repairs needed and keep it secure in our garage. Prepare your next day with one of our eight gpx routes that start from the hotel and download them directly to your device. It’s one of the many perks of choosing us, your best option amongst the resorts in Mallorca, Spain for some days of cycling in the sun. Hotel - Bahía de Santa Ponsa: Hotel - Paguera - Estellencs - Banyalbufar - Puigpunyent - Galilea - Es Capdellà - Hotel. 27Km. Hotel - Sant Elm: Hotel - Paguera - Port d’Andratx - Sant Elm - Andratx - Es Capdellà - Calvià - Hotel. 45 Km.